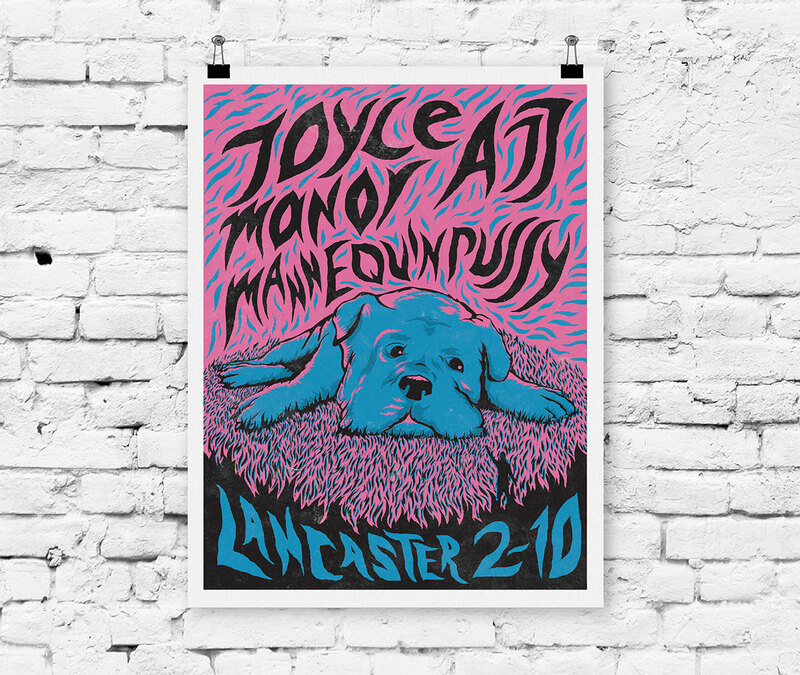 This bright and detailed poster was created to promote a concert headlined by Joyce Manor in Lancaster, PA. The bright and organic shapes make it stand out online and in person. 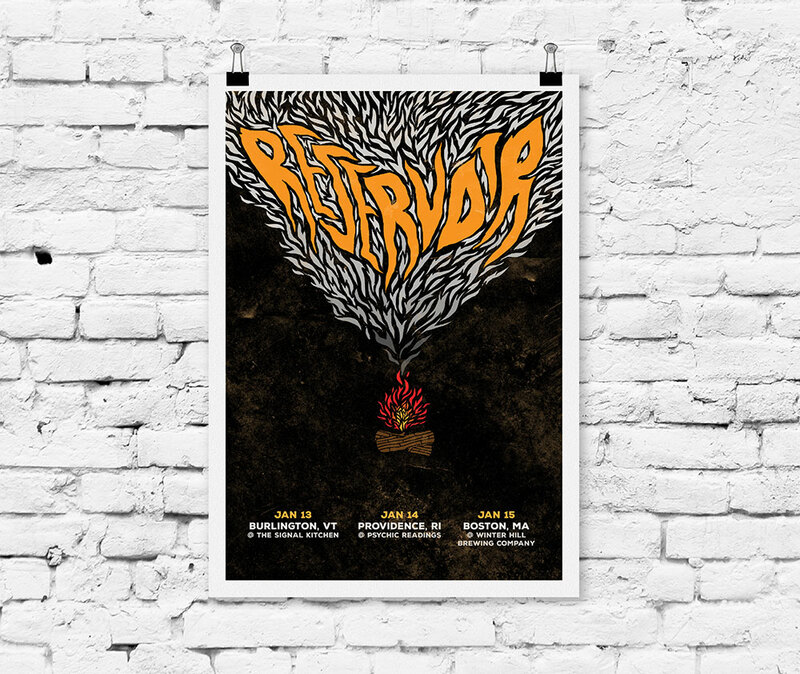 Utilizing a dark and holistic design, this poster was employed to promote a weekend tour for a York-based band named Reservoir. Each year a student is chose to design the "Taking the Plunge" poster at Kutztown University and I was nominated to design the poster for 2017. 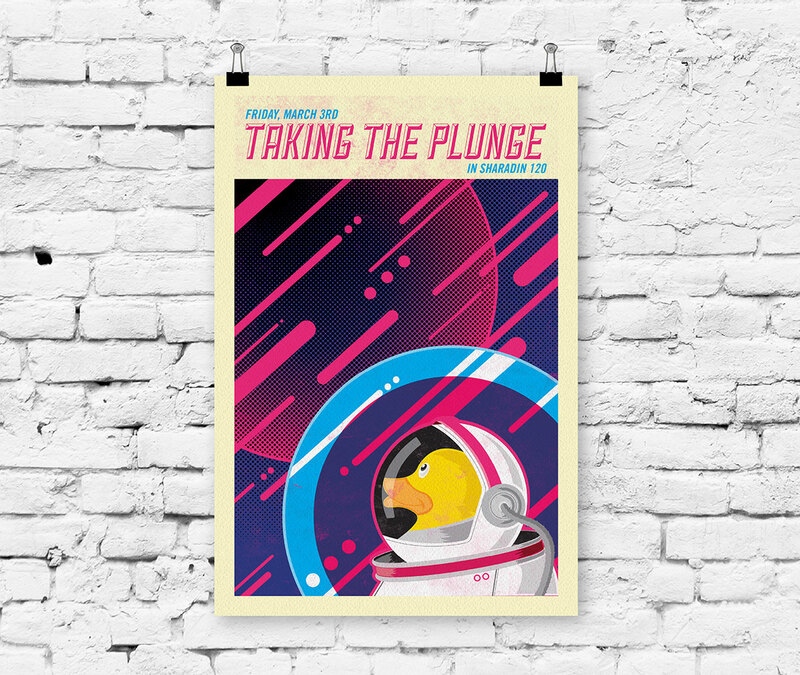 Every poster incorporates a duck into the design so I re-imagined the duck as an astronaut. Designed as part of a series of posters for the School of Rock in Philadelphia. 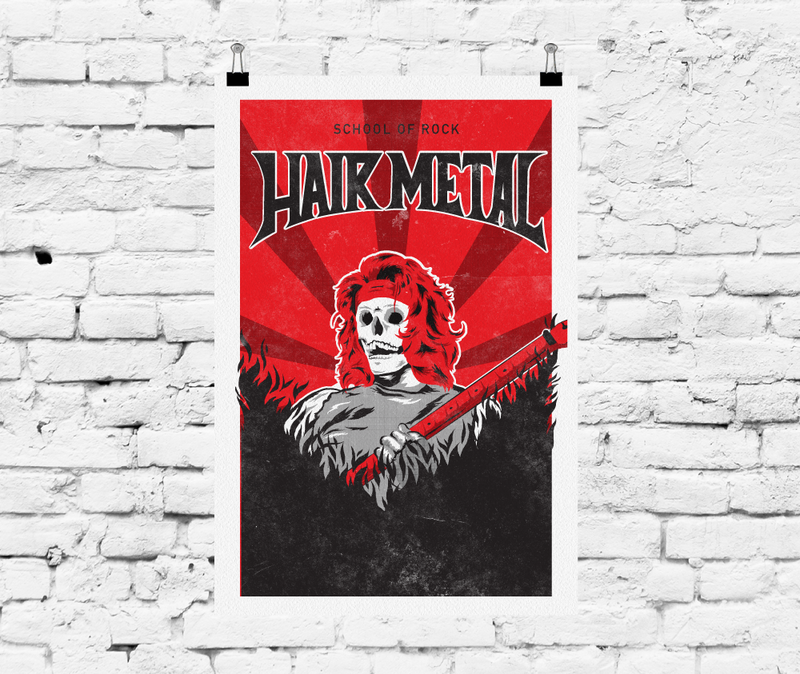 The blend of bold colors, hellish imagery and 80s hair metal typography promote the atmosphere that the audience will experience.